M.Falconer is a self-taught visual artist who has been painting for three years. 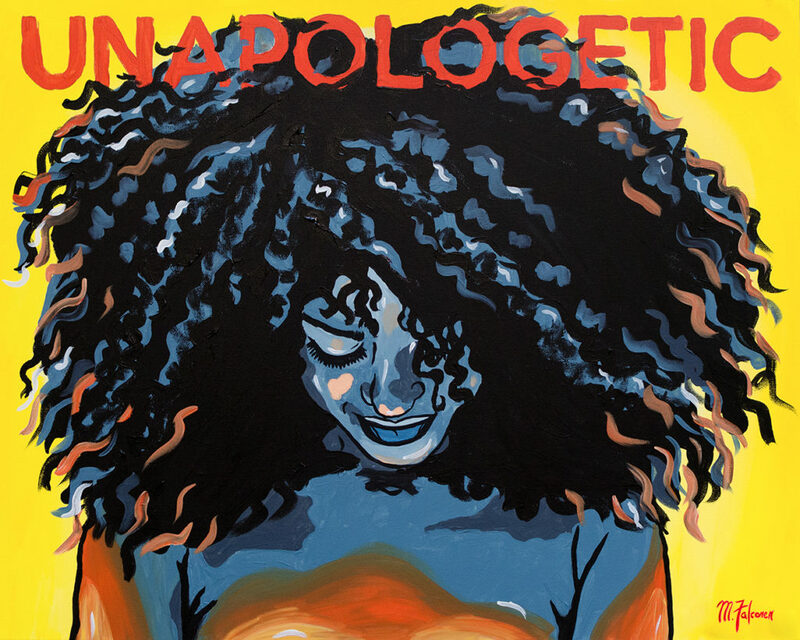 Her unique paintings are inspired by Black culture and foster a sense of self-love, identity and self-expression. Her style can be described as "Black Pop Art" due to her bold and unconventional colour palette. Visit her website, mfalconer.com, to check out original paintings, prints, fascinating time lapse videos and more.